22 JANSSON, J. Magni Mogolis Imperium. Amsterdam, 1639-1649. Beau col. ancien. Petite restauration en bas du pli central. - In original colours. Split in lower part center fold repaired. 369 x 493 mm. 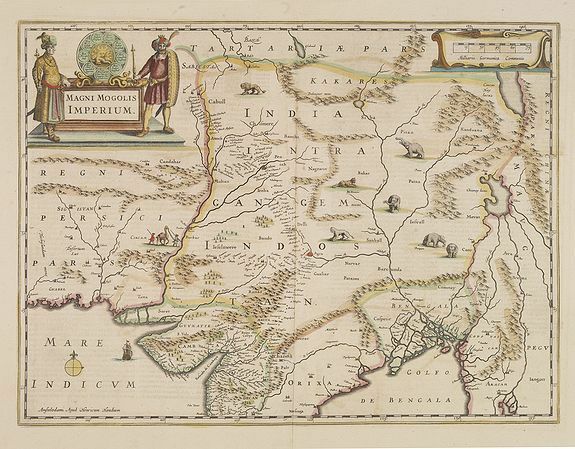 � A most attractive map of northern India and Central Asia. 23 HONDIUS, J. / JANSSON, J. Ins. Ceilan que incolis Tenarisin dictur. Amsterdam, 1639-1649. Beau col. d'�poque. Bel exemplaire. - In good condition. With wide margins. In original colours. 342 x 497 mm. � Tr�s belle carte figurant Ceylan par Petrus Plancius, orient�e vers l'est. Texte en fran�ais au verso. 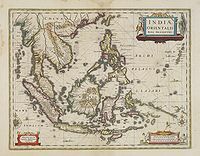 - In 1606 Jodocus Hondius introduced in the Mercator Atlas a separate map of Ceylon. Prepared by Petrus Plancius. Oriented to the east. 24 JANSSON, J. Indiae Orientalis Nova Descriptio. 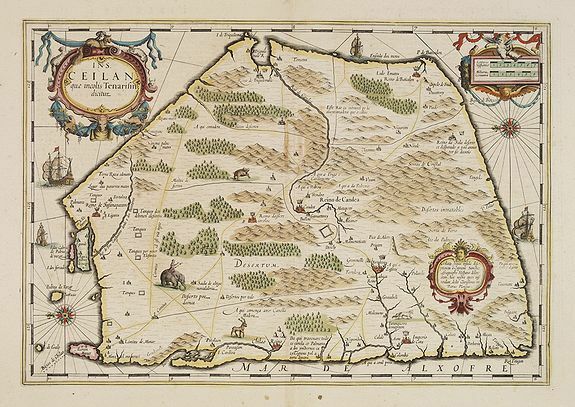 Amsterdam, 1639-1649. Beau col. ancien. P�les mouillures dans les marges. - In original colours. Paper slightly age-toned as usual, water stains in left and top margins. 390 x 540 mm. 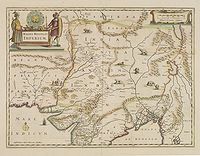 � Carte de l'Asie du Sud-Est comprenant la p�ninsule indochinoise. 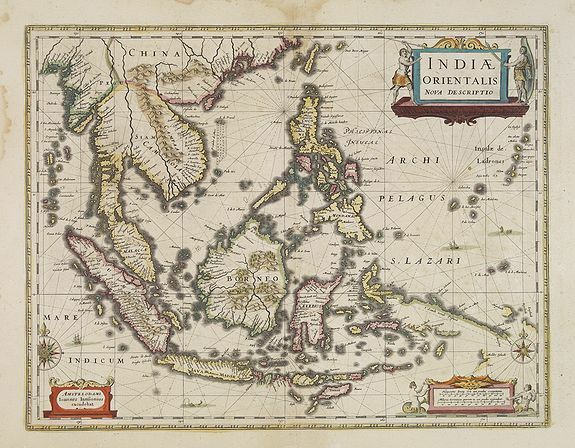 - Fine decorative chart of the region including Indochina, the Philippines and the East Indies. Includes the new discoveries in New Guinea made by the Dutch "Duyfkens" exploration. The map is embellished with rhumb lines, sailing ships, sea monsters, compass roses and three cartouches. The cartouches feature indigenous people mermaids and a sea monster. French text on verso.